Business Admins can create new teams in the Business Portal by navigating to the People tab > Teams > Add Team. 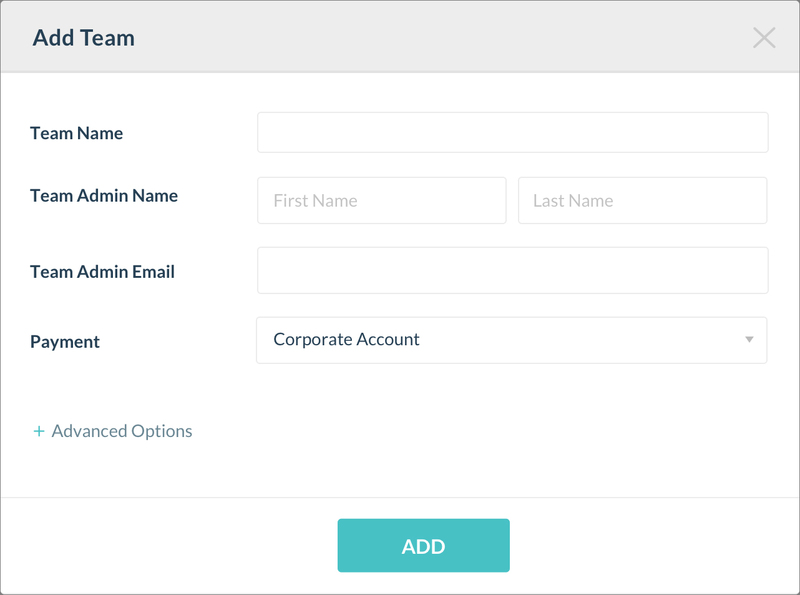 Enter the team name here, the Team Admin, and select Payment option. There are two payment options: Corporate Account and Team Purchases Plan. Corporate Account means that the Business Admin handles payment for the account. Team Purchases Plan means that the Team Admin handles payment for the account. All teams must have a Team Admin. 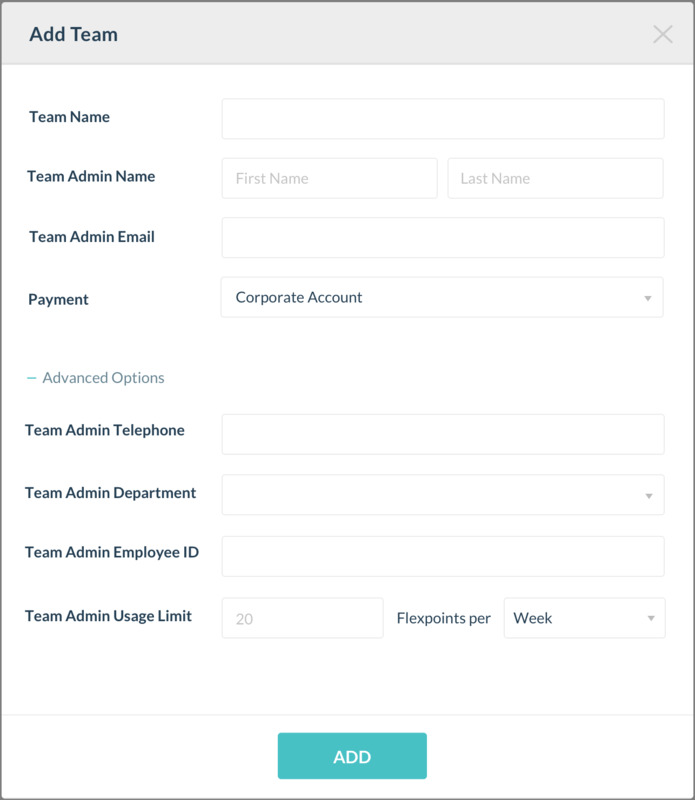 You can add more information about the Team Admin, like telephone number and Usage Limit, by clicking Advanced Options. When you're finished entering all information, click Add.